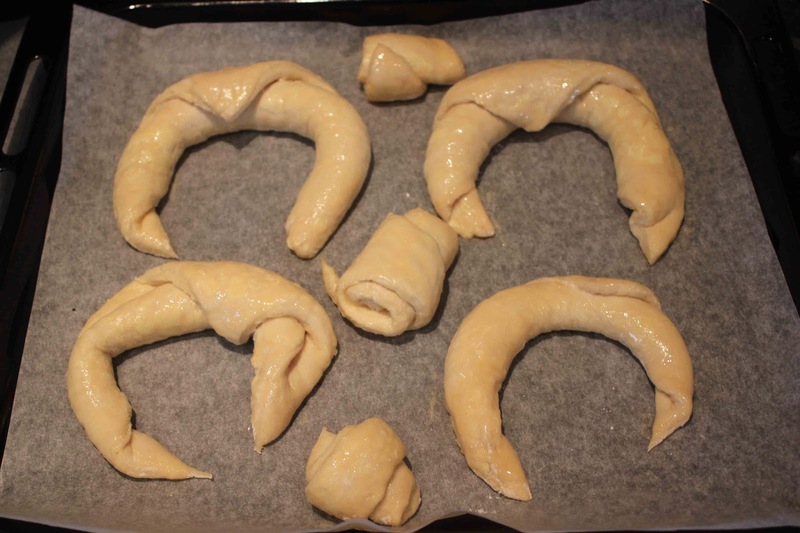 It literally took me twenty four hours to make these croissants. I started at about 1pm yesterday and ate them today at 12:30pm for brunch. 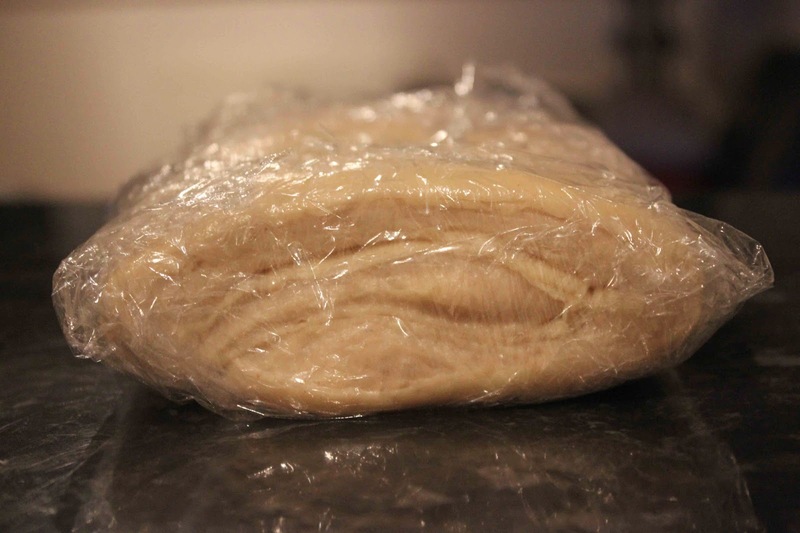 The dough is rather basic but the technique makes the difference. 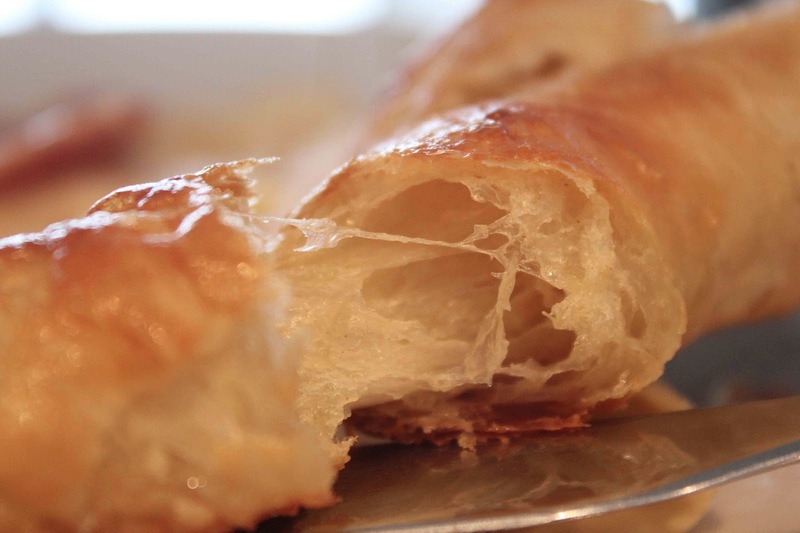 Butter played a major role in making them light and flaky. 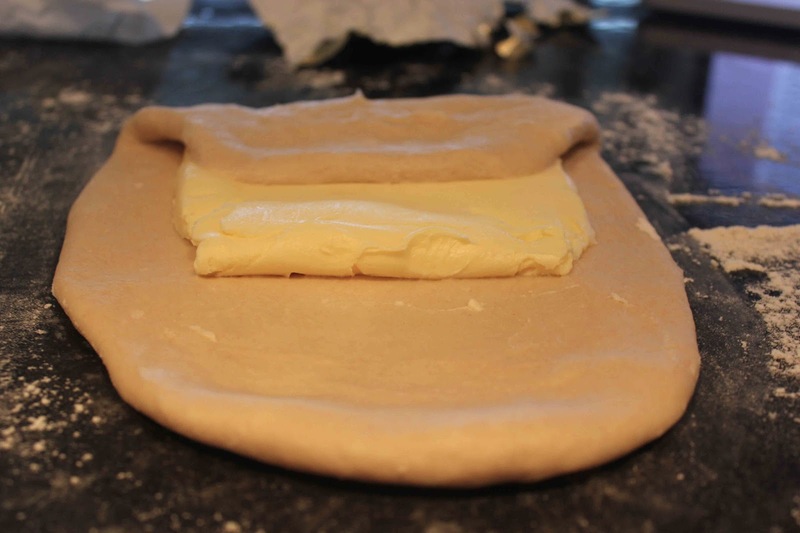 I rolled out the dough, rolled out the butter into a rectangle, folded it in the dough and chilled for an hour. I brought it out of the fridge, rolled and folded again then returned it to the fridge for another hour. After doing this two more times, the butter was evenly distributed neatly as thin layers of butter and dough. After leaving it to rest overnight, i baked it for just ten minutes. I think i can do with a bit less butter next time but overall it was worth the wait, i had a lovely meal. Thanks for liking my blog and its yummy content:). i get a lot of the recipes from a simple google search. 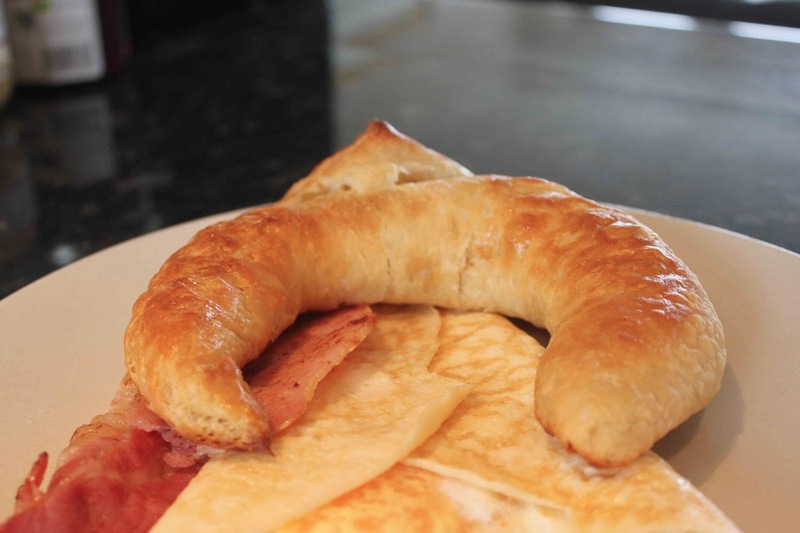 Most of the time i get them from http://www.bbc.co.uk/food/ but also compare to recipes on other sites and try different quantities and techniques.